Digital audio CD-R, distinguished by the CD-DA logo, is a recording format primarily intended for consumer standalone CD-R recorders, also sometimes referred to as music only CD-R. Contrasted with your typical computer burner, a consumer unit cannot use regular data CD recordable discs you would normally use on your computer. Consumer standalone CD recorders were built with Serial Copy Management System (SCMS) technology, basically a security feature designed to prevent people from pirating music. The SCMS standard was created as a compromise between electronics manufacturers and the RIAA. Electronics manufacturers wanted to make digital audio tape (DAT) machines available for sale in the United States. The RIAA, representatives of the music industry who previously threatened them with lawsuits, felt that consumer digital recorders would cause widespread piracy if readily available in a digital format. This was during a time when audio cassette and LP were still relatively popular formats. CDs were becoming popular and the RIAA thought that the emergence of CD recorders would spark users to copy their CD collection digitally on CD-R and DAT much the same way that people were copying LP onto cassettes to listen in their car, etc. In the end, the compromise made was to include SCMS technology into consumer-grade recorders and legislation was passed in the US. The legislation still stands for consumer recorders sold in the US. SCMS, the acronym for Serial Copy Management System, was developed and served 2 purposes. It meant that every digital audio CD-R made with SCMS paid a royalty and also prevented digital copies of a digital source through the digital output. SCMS copy protection uses the table of contents or ATIP section of the blank CD-R. Different sequences would distinguish material with copyrights from that of original recordings. The reason why standard CD-R media will not work in consumer CD recorders is due to the fact that they are not setup to use the “authorization bits” as defined by the SCMS standard. So what does this mean if you have a consumer CD recorder? It means you need to use blank CD-R that has the CD-DA logo or purchase discs that clearly state they have SCMS. MAM-A, Mitsui Advanced Media of America is one of the 3 remaining manufacturers that still support digital audio CD-R with SCMS. MAM-A has no intention to discontinue manufacturing digital audio CD-R with SCMS, they also manufacture gold digital audio CD-R which has improved data storage lifespan. At present the other 2 manufacturers are Verbatim and Prodisc. 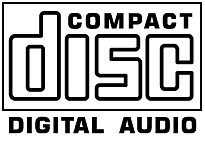 Prodisc makes a digital audio CD-R. We have heard reports that Prodisc digital audio CD-R has compatibility issues with Sony standalone CD recorders. Blu-ray, also known as Blu-ray Disc (BD) is the next-generation optical disc format developed to enable recording, rewriting and playback of high-definition video (HD), as well as storing large amounts of data. The applications for Blu-ray span the entire storage spectrum–Data, Audio, Photo and Video storage for personal and professional use. Verbatim BD-R LTH Type Technology BD-R LTH Type discs offer a more affordable solution to high-definition video storage. In comparison to standard BD-R discs which use inorganic dye, BD-R LTH discs use an organic AZO layer which MKM developed leveraging its many years of success in developing organic AZO recording layers for CD-R and DVD-R media. BD-R LTH Type media is applied using the same dye spin coating process as CD-R or DVD-R media. Recorded data lies close to the surface of BD discs. Therefore all Verbatim BD media features a proprietary Hard Coat finish. This layer provides added protection from scratches, dust particles and fingerprints that can damage data and cause recording and playback errors. Should You Choose Taiyo Yuden Media? If you are like most people, then you want only the best when it comes to storing and saving all of your important files and data. This means that you might not want to trust some of the lesser brands to hold your files. Certainly, there are some great brands out there that don’t have the clout and the high profile that companies such as Taiyo Yuden has, but you don’t want to take your chances. Professionals in a variety of industries use the Taiyo Yuden CD-Rs and DVD-Rs for their storage, and you shouldn’t settle for any less. After all, these guys invented the CD-R – that means they know what they are doing! The discs are affordable as well. You aren’t going to have to break the bank when you buy them. You will be able to get them in spindles of 100, which will save you money. You could also get them in smaller quantities if 100 discs are too many. When you are getting these discs, you have to consider a few things. When do you need a CD-R and when do you need a DVD-R? How fast do you need the media to write? If you are going to be recording music, you are going to want to use a CD-R. The Taiyo Yuden CD-R will have a capacity that is smaller than the DVD-R, such as 600 MB to 700 MB. This is plenty of space to record music. You will find that these discs have various write speeds, from 1X to 48X. If you have a fast drive, then you can choose discs that record faster, and you will be able to record your music to the disc in no time. These CD-Rs from Taiyo Yuden are also great for recording and storing data. When you have a large amount of files that you need to store on one disc, or when you are going to store video, then you are going to want one of the DVD-R discs from Taiyo Yuden. You will find that these larger capacity discs have a write speed of 1X to 16X. You will find many companies out there with media storage discs, but if you want to ensure the safety of your data, make sure that you choose a company with a stellar reputation, such as Taiyo Yuden.